Centre for Pharmaceutical Sciences and Natural Products (formerly known as Centre for Chemical and Pharmaceutical Science) was established in 2011. 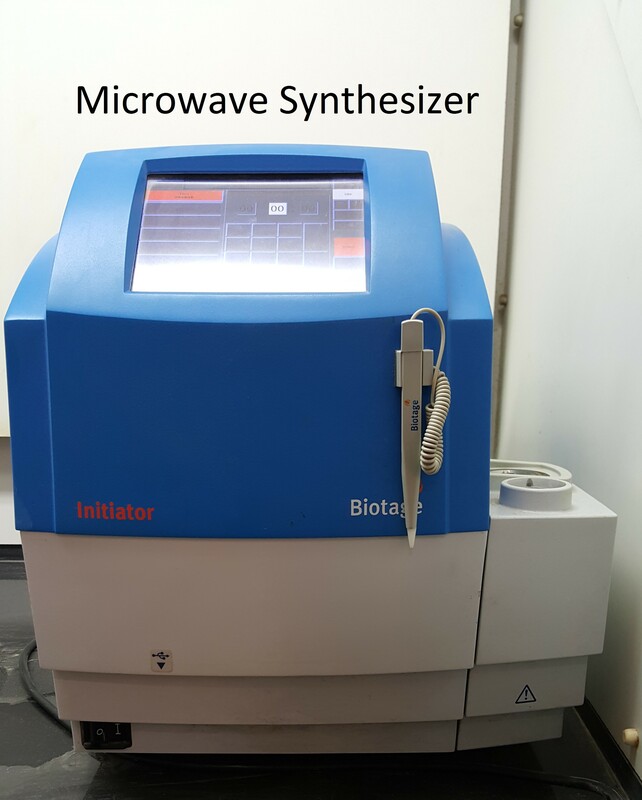 At present the centre has two well established research labs with a number of sophisticated research instruments, such as, microwave synthesizer, solid phase peptide synthesizer, solvent extractor, flash chromatography, monochromatic micro palate reader and many more. 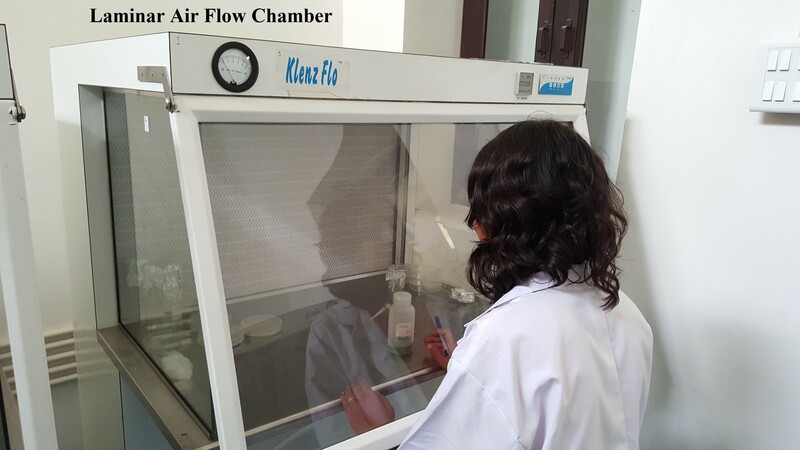 The main motto of the centre is to conduct research on cancer and to find out a recognized drug in overcoming this disease which is a major problem in this Malwa region, causing higher rates of cancer incidence. 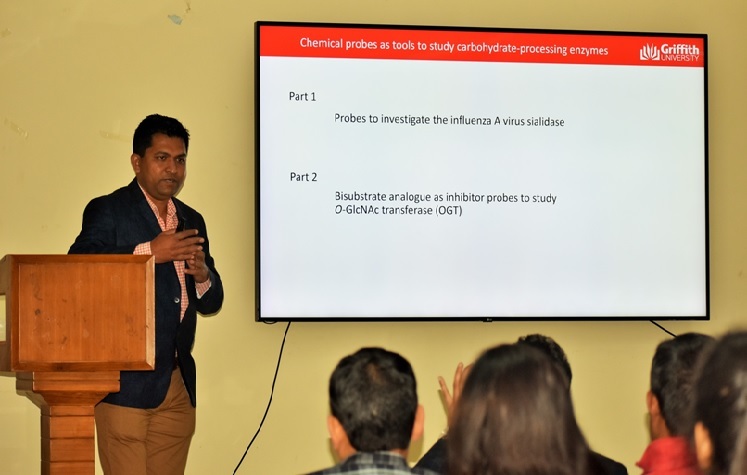 Currently the centre has highly qualified faculty and also organizes from time to time guest faculty lecturesfor the benefit of the students and to create awareness for the recent trends followed in medicinal chemistry research worldwide. The center has also achieved research grants from pioneer funding agencies like DST and UGC, in the form of DST-FastTrack, UGC-Major Project and UGC start up grant and own university grant (RSM). Besides this many research/review papers are being continuously published in various pioneer national and international journals which all speak about the excellence of the centre. The centre is currently following the latest trends and conducting a thorough research on Design, Synthesis and Biological Screening of Novel Multi-target inhibitors of Tyrosine Kinase(s) and Topoisomerase, Synthesis of Bioactive Heterocyclic Scaffolds Using Novel Green Technologies and Synthesis of Rebaudioside-A: Natural Substitute for Sugar from Stevia rebaudiana (Bertoni) and many more. Invited guest lecture by Dr. Atul Bhardwaj from University of Alberta, Canada delivered lecture on “Polysubstituted tetrahydropyrans and nitric oxide releasing prodrugs as safe anti-inflammatory and anti-hypertensive agents: synthesis and in-vitro/in-vivo biological investigations” on September, 24, 2012. 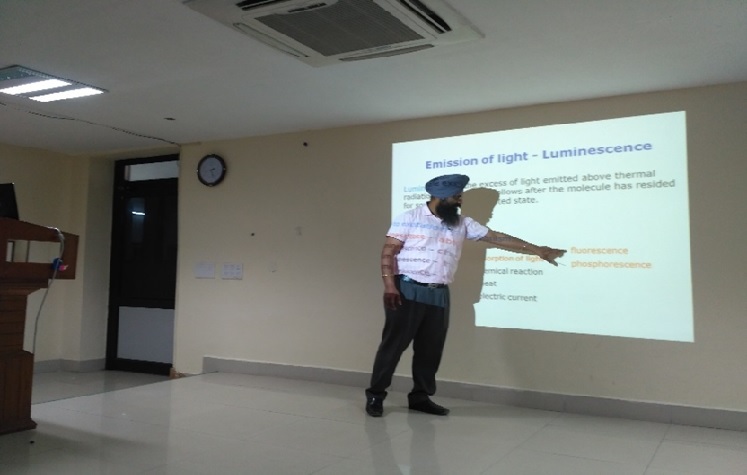 Invited guest lecture by Professor Inder P. Singh from NIPER, Mohali delivered lecture on “Isolation and Structure Elucidation of Natural Products” on March, 28, 2014. 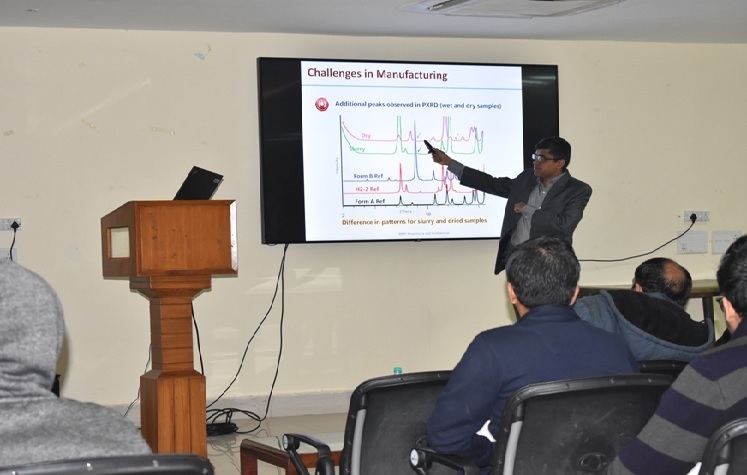 Invited guest lecture by Professor Asit K chakraborti from NIPER, Mohali delivered two lectures on “Medicinal Chemistry Education and Research: the Necessity and Pitfalls” and “Enriching the Medicinal Chemists ‘Tool Box Emerging Trend and Paradigm Shift in Discovery Chemistry” on April, 03, 2014. 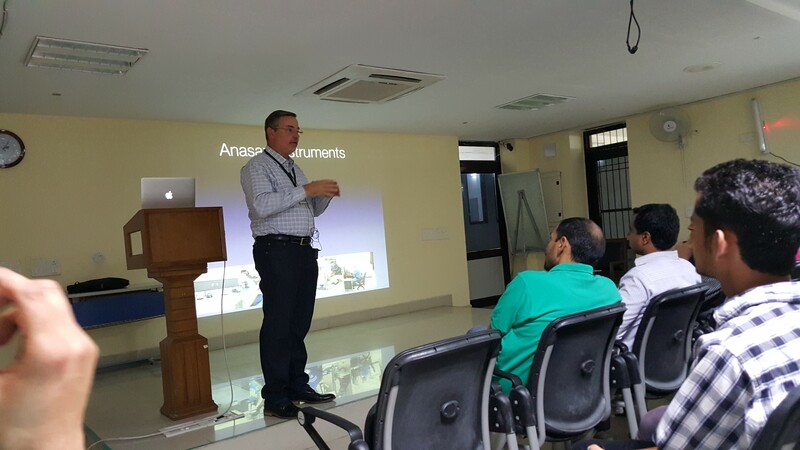 Invited guest lecture by Dr. Donald Bouchard from Anasazi Instruments, USA on “Instrumentation and Applications of 90 MHz NMR” was delivered on 18-09-2015. Invited guest lecture by Prof. V.K. Kapoor, former Chairman, UIPS, Panjab University Chandigarh on “Understanding stereochemistry at grass root level” on 05-10-2015. Lecture by Mr. Donald Bouchard, USA on “Instrumentation and Applications of 90 Hz NMR” on 18-09-2015. 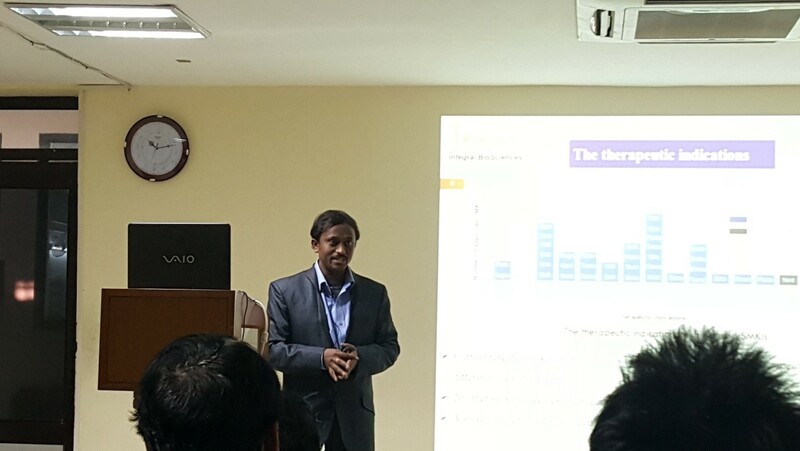 Lecture by Prof. V.K. 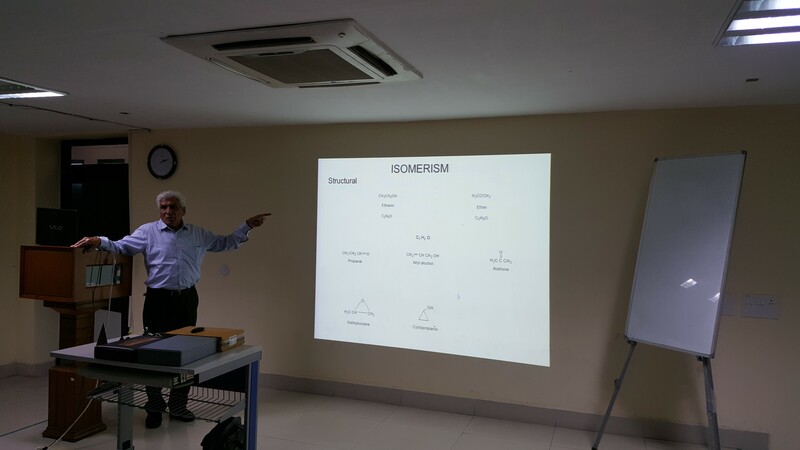 Kapoor, former Chairman, UIPS, Panjab University Chandigarh on “Understanding stereochemistry at grass root level” on 05-10-2015. Keynote adress by Prof. P.V. 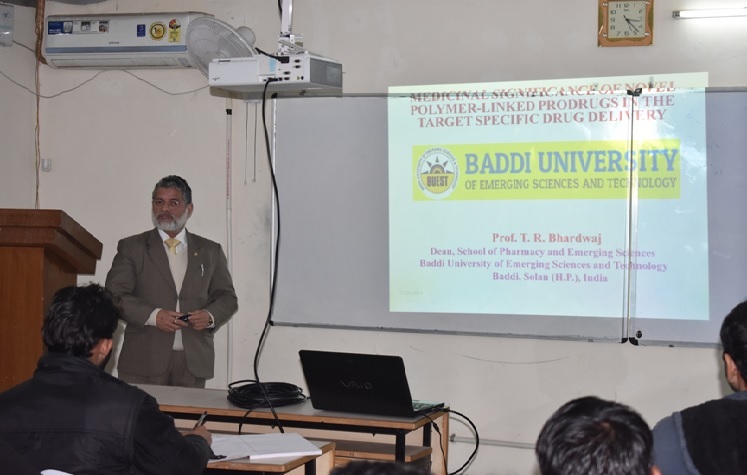 Bharatam, NIPER, Mohali on “New concepts in chemical bonding leading to the design of anti-malarial agents” during three day workshop on Drug Design, Molecular Docking, Virtual Screening and Pharmacoinformatics on 26-11-2015. 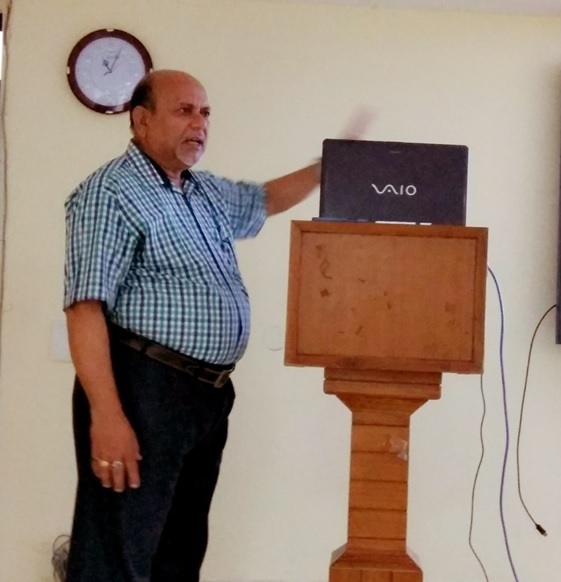 Lecture by Professor K. L. Dhar, Former Head, Natural Product Division, IIIM, Jammu on “Basics of NMR and its spectral interpretations” and “Terpenoids as Medicines” on 26-08-2016. 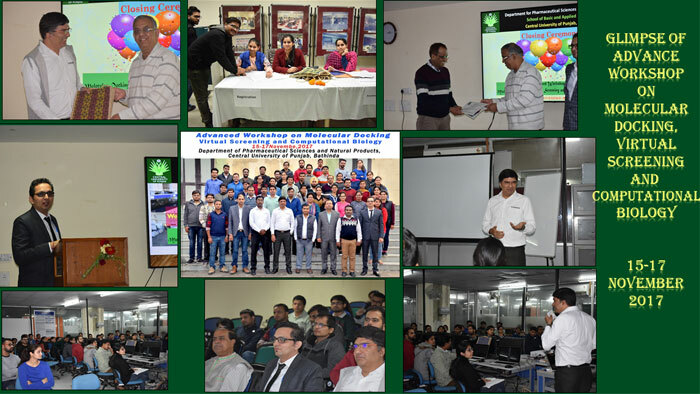 The Centre organized a three day workshop on “Drug Design, Molecular Docking, Virtual Screening and Pharmacoinformatics” in association with Schrödinger INC. USA from 26-11-2015 to 28-11-2015. 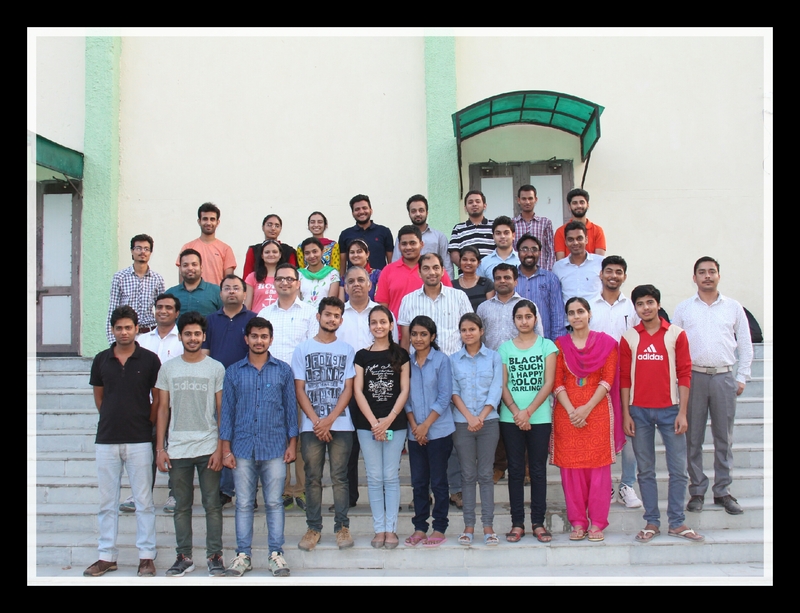 Fourty participants from 14 different Universities/Institutes of north India were selected out of 64 applications received. A glimpse of various activities during workshop. 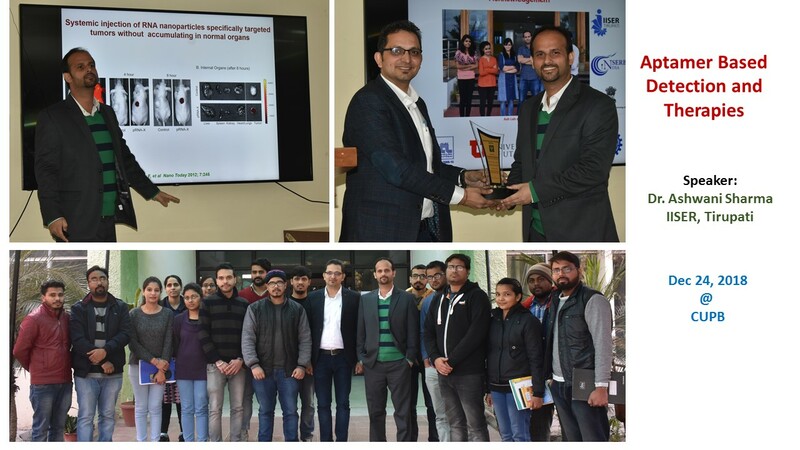 The Department organized a three day workshop on “ADVANCED WORKSHOP ON MOLECULAR DOCKING, VIRTUAL SCREENING AND COMPUTATIONAL BIOLOGY” in association with Schrödinger INC. USA from 15-11-2017 to 17-11-2017. Forty three participants from different Universities/Institutes of north India and Nepal attended the workshop. Professor P. Ramarao was awarded Dr. K.M. 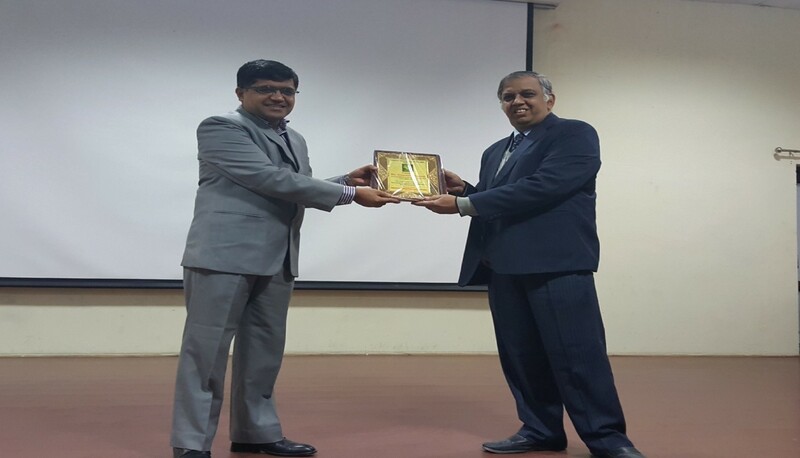 Parikh Award at International Conference on “Challenges for Global Competitiveness of AYUSH and Natural Products” held at Delhi Institute of Pharmaceutical Sciences and Research University (DPSRU) organized jointly in collaboration of the International Association for the Study of Traditional Asian Medicines (IASTAM) and Delhi Pharmaceutical Sciences and Research University on February 2-4, 2018. Dr. Raj Kumar from Centre for Pharmaceutical Sciences and Natural Products has got research award (2014-15) from Honourable Chancellor of Central University of Punjab, Bathinda on dated 28th Feb, 2016. Dr. Vikas Jaitak from Centre for Pharmaceutical Sciences and Natural Products has got research award (2014-15) from Honourable Chancellor of Central University of Punjab, Bathinda on dated 28th Feb, 2016. Mr. Gaurav Joshi receiving Sun Pharma Science Scholar Award-2017 under the category of Pharmaceutical Sciences on the research work entitled "Targeting chromatin coupled enzymes by small molecules in cancer cells" at India Habitat Centre, under the aegis of Sun Pharma Science Foundation, Gurugram on 12 February 2018. The award consists of a glass engraved certificate and cash prize of Rs. 50,000. 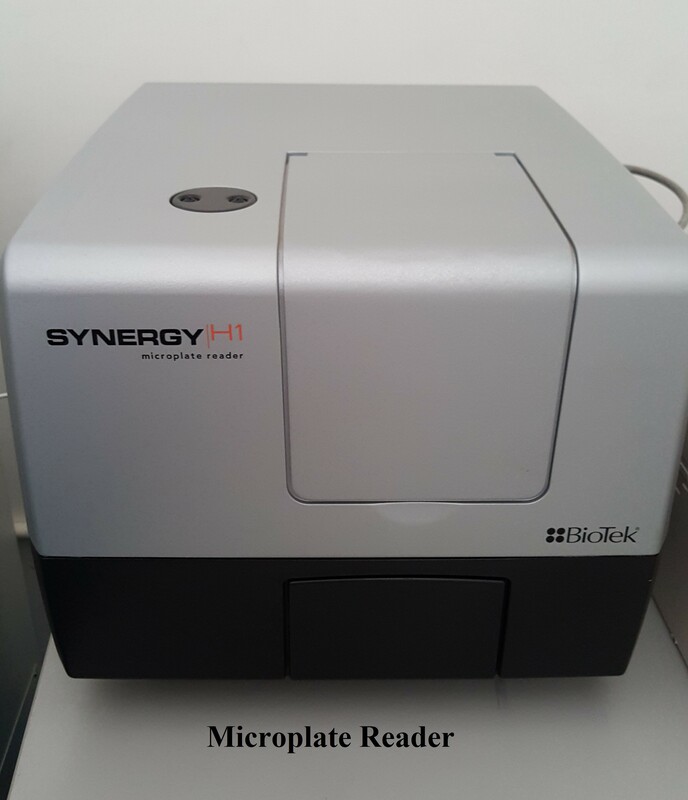 The centre is currently engaged with developing small novel dual inhibitors as anticancer agents pertaining to inhibit Epidermal Growth Factor Receptors, Histone Deacetylases and Topoisomerase 1 and 2 which are most frequently overexpressed in many forms of cancers. Further studies on small molecule heterocyclics as novel potential drug candidates and hybrid/multi-targeted pharmacophoric drug approaches to withhold the issue of resistance emergence in DNA damaging chemotherapy, project studies of design and development of DNA repair enzyme inhibitors are also carried out. 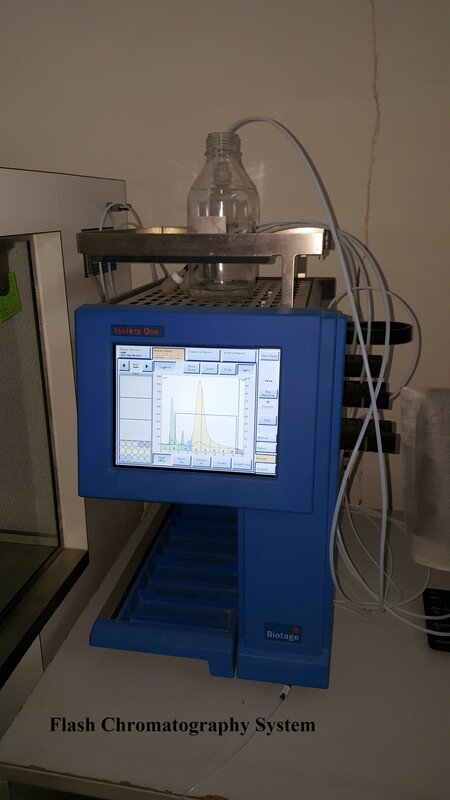 The center is also working on synthesis of small molecules using green chemistry approach and also on the designing of small molecule for Colchicine binding sites. 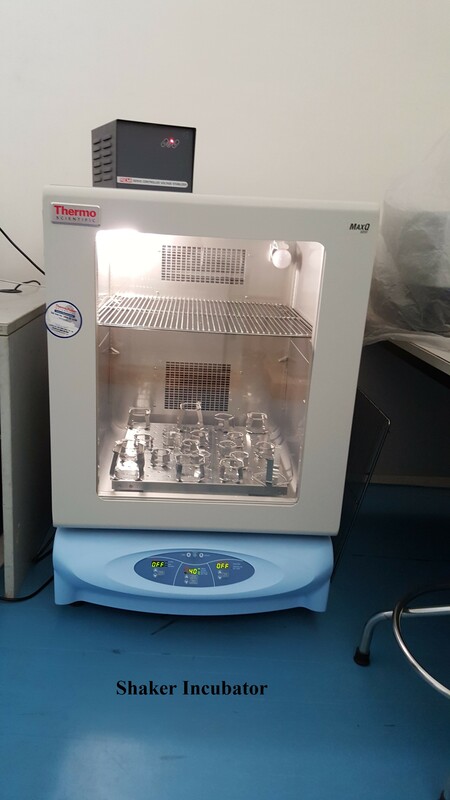 In addition to working on the field of cancer, centre is also working on development of small molecule for Alzheimers and other neuronal diseases by targeting the monoamine oxidase inhibitors. 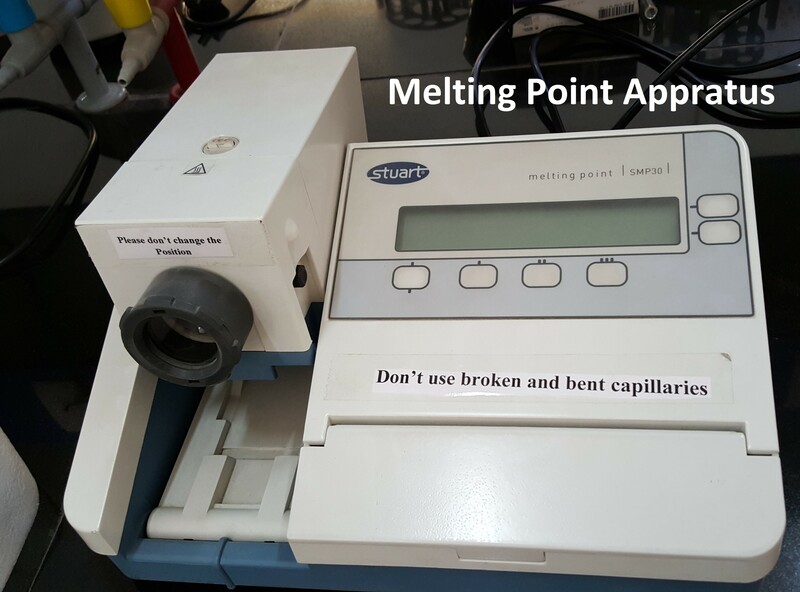 Diabetes mellitus is one of the most 25 prevalent diseases around the world; the center focuses on the development of synthetic sugar substitute inspired from nature. 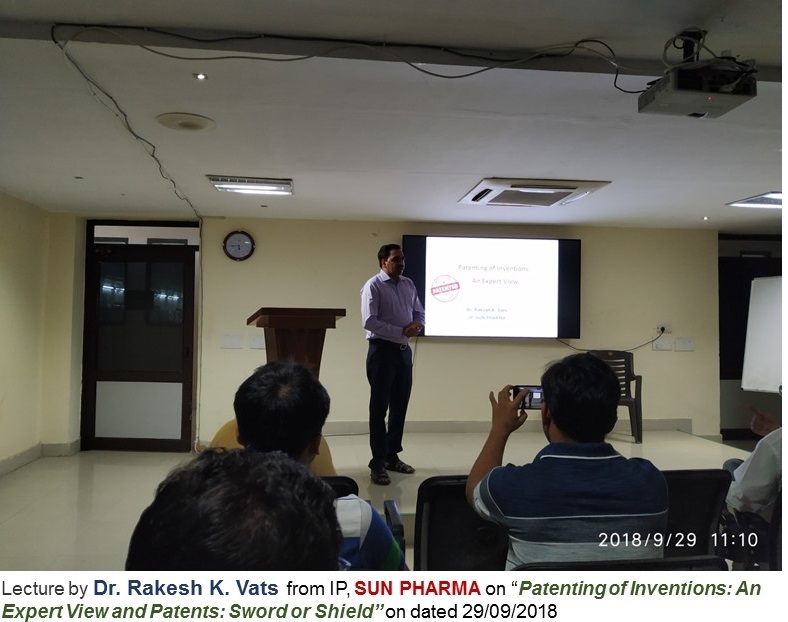 In short, the centre is poised to meet the challenges and demand for world class medicinal chemists to carry out the drug design and discovery. The programmes in medicinal chemistry have been initiated to increase capacity building and to produce innovative medicinal chemists. 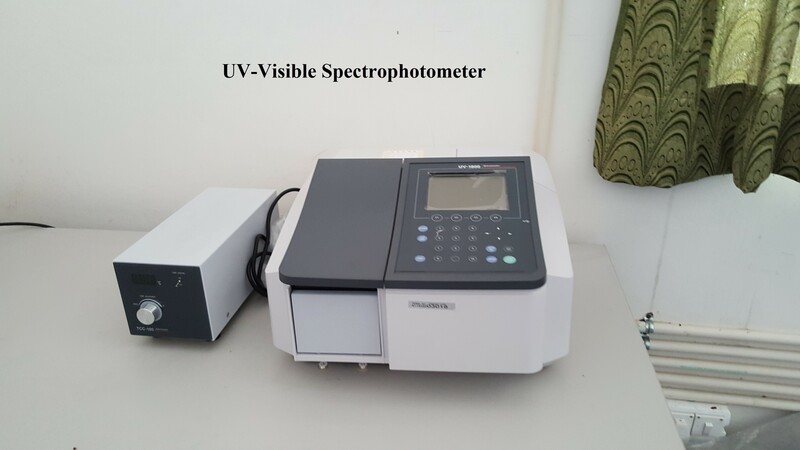 Presently research is being carried out in discovery of anticancer, antidiabetic and antigout agents utilizing natural products or synthetic and semi synthetic approaches. 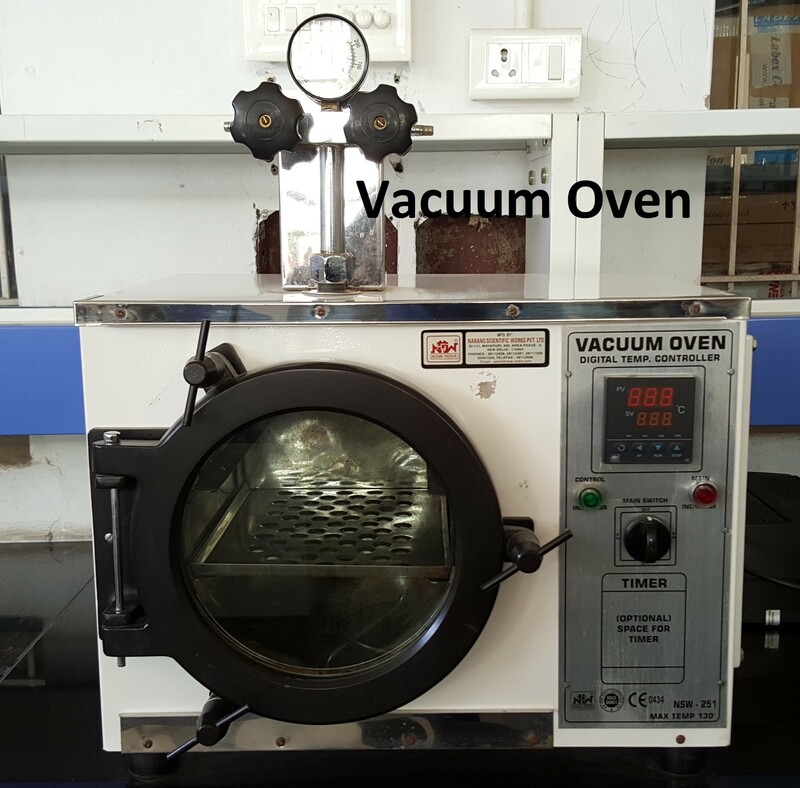 Centre for Pharmaceutical Sciences and Natural Products Laboratory is equipped with well furnished chemical resistant furniture and many sophisticated international standard instruments such as Microwave synthesizer, Lab Willy Grinder, Camera Lucida Muffle Furnace, Digital colony counter , Moisture Determination balance, Safety control heating plate with stirrer and BUCHI speed extractor 914. Kumar, R. and Kumar, D. (2014). Microwave-assist synthesis of pyrazolo [1,5c] quinazolines and their derivatives Tetrahedron Letters, DOI: 10.1016/j.tetlet.2014.03.037. Kumar, R., Seth, K., Garg, S. K., Purohit, P., Meena, V. S., Goyal, R., Banerjee, U. C. and Chakraborti, A. K. (2014). The 2-(2-Arylphenyl) benzoxazole as a novel anti-inflammatory scaffold: Synthesis and biological evaluation. ACS Medicinal Chemistry Letters DOI: 10.1021/ml400500e. Kumar, R., Baviskar, A. T., Banerjee, U. C., Gupta, M., Singh, R., Kumar, S., Gupta, M. K., Kumar, S., Raut, S. K., Khullar, M. and Singh, S. (2013). Synthesis of imine-pyrazolopyrimidinones and their mechanistic interventions on anticancer activity. Bioorganic and Medicinal Chemistry 21: 5782–5793. Kumar, R. and Chauhan, M. (2013). Medicinal attributes of pyrazolo[3,4-d]pyrimidines: A review. Bioorganic and Medicinal Chemistry 21: 5657–5668. Kumar, R., Negi, A., Bhushan, S., Gupta, P. and Garg, P. (2013). Cystathionine β Lyase like protein with pyridoxal binding domain characterized in Leishmania Major by comparative sequence analysis and homology modeling. International Scholarly Research Network (ISRN) Computational Biology.DOI: http://dx.doi.org/10.155/2013/520435. Kumar, R. and Alex, J. M. (2013). 4, 5-dihydro-1H-pyrazole: An indispensable scaffold. Journal of Enzyme Inhibition and Medicinal Chemistry DOI: 10.3109/14756366.2013.795956. Kumar, R., Negi, A. and Ramarao, P. (2013). Recent advancements on small molecule inhibitors of insulin–like growth factor-1 receptor (IGF-1R) Tyrosine Kinase as anticancer agents. Mini Reviews in Medicinal Chemistry. 13: 653-668. Kumar, V., Irna, E. R., Grivas, K., John, W., Lewis , M. J. C., Claire M., Corina., J. G., Irina., D. P., Henry., I. M., John., R. T. and Stephen M. H. (2014). Selectively promiscuous opioid ligands: Discovery of high affinity/low efficacy opioid ligands with substantial nociceptin opioid peptide receptor affinity. Journal of Medicinal Chemistry, 57: 4049-4057. Jaitak, V., Gupta, V. K. and Bhalla, Y. (2014). Impact of ABC transporters, glutathione conjugates in MDR and their modulation by flavonoids: an overview. Journal of Medicinal Chemistry Research 23: 1-15. Jaitak, V. and Insan, M. B. (2014). New approaches to target cancer stem cells: Current scenario. Mini-Reviews in Medicinal Chemistry 14: 20-34. Jaitak, V. and Singla, V. (2014). Shatavari (Asparagus racemosus Wild): A review on its Ethnobotany, Phytochemistry and Pharmacological importance. International Journal of Pharmaceutical Sciences and Research 5 (3): 742-757. Jaitak, V. and Insan, M.B. (2014). Drug targeting strategies in breast cancer treatment: Recent updates. Anticancer Agents in Medicinal Chemistry. (Accepted). DOI: http: // dx.doi.org/10.2174/1871520614666140407114853. Jaitak, V., Bhalla, Y. and Gupta, V. K. (2013). Anticancer activity of essential oils: A review. Journal of the Science of Food and Agriculture. 93: 3643-3653. Jaitak, V., Kaul, V.K. and Das, P. (2013). Environmentally benign Michael and Claisen Schmidt reaction of aryl carbonyl compounds by alkali exchange resin. Indian Journal of Chemistry B 52B, 1137-1145. Jaitak, V., Singla, R., Kaur, R. and Arora, S. (2013). Invitro anti-mutagenic activity of Asparagus racemosus- An Ayurvedic medicinal plant. American Journal of Drug discovery and Development 3 (4): 286-292. Title: Novel fused heterocycles and method of use and manufacture thereof. 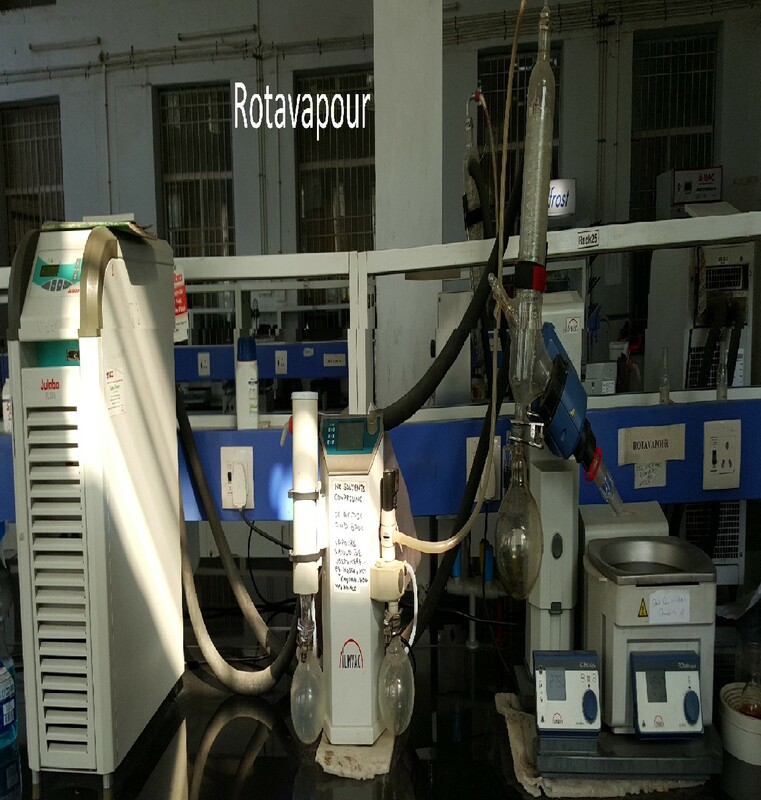 Inventors: Kumar, R., Singh, S,. Chauhan, M. Indian Patent application no. 201611014161 filed on April 22, 2016. Kumar, R., and Kaur, G. (2014). Rationale design of APE1 DNA repair inhibitors through In silico approaches. 8th Chandigarh Science Congress, CHASCON- 2014, Panjab University, Chandigarh, 26-28 February 2014. Kumar, R., Rana, A., Chauhan, M. and Singh, S. (2013). Microwave assisted synthesis of derivatives of 4-aminoquinolines as potential anticancer agents. 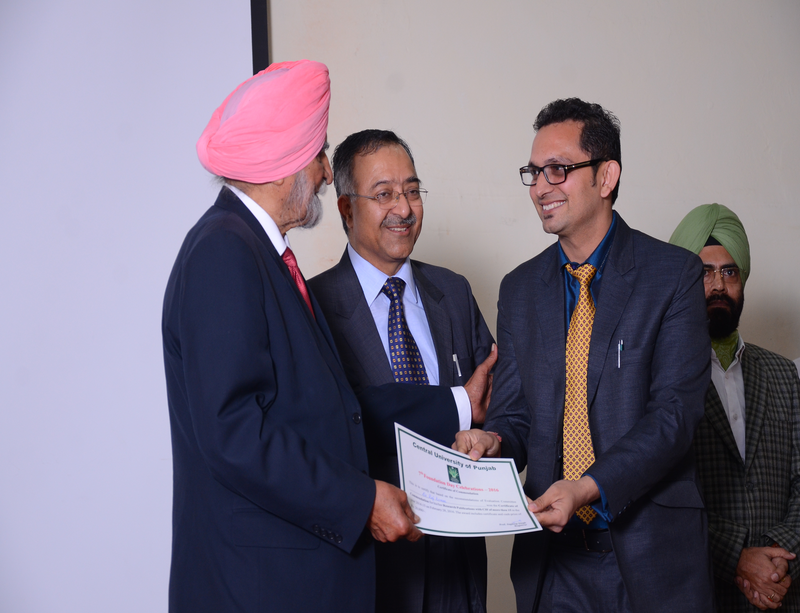 50th Annual Convention of Chemists 2013, Punjab University, Chandigarh, December 04-07, 2013. Kumar, R., Chauhan, M, Alex, J. M. and Singh, S. (2013). 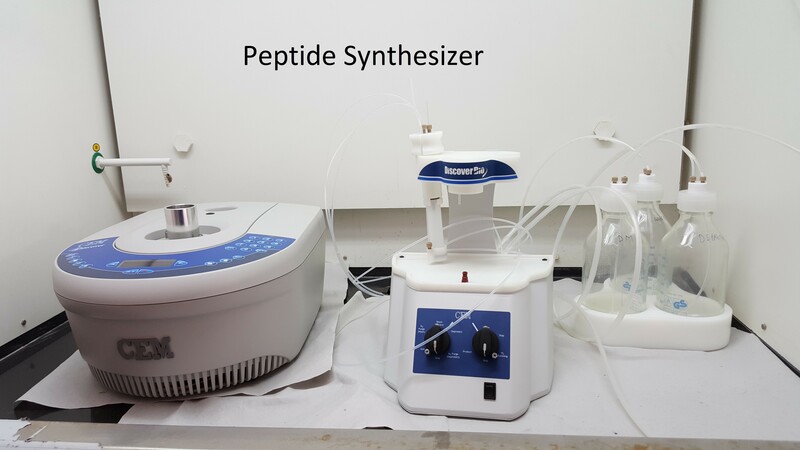 An easy and greener approach for the synthesis of novel heterocyclics and their anticancer evaluation. 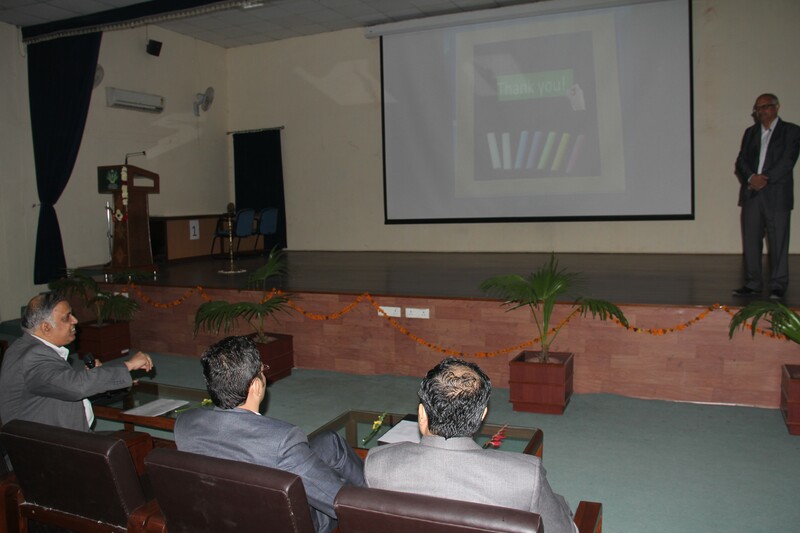 50thAnnual Convention of Chemists 2013, Punjab University, Chandigarh, December 04-07, 2013. Kumar, V. and Saini, V. (2014). Design and In silico screening of combretastatin analogues as potential microtubule polymerization inhibitors. 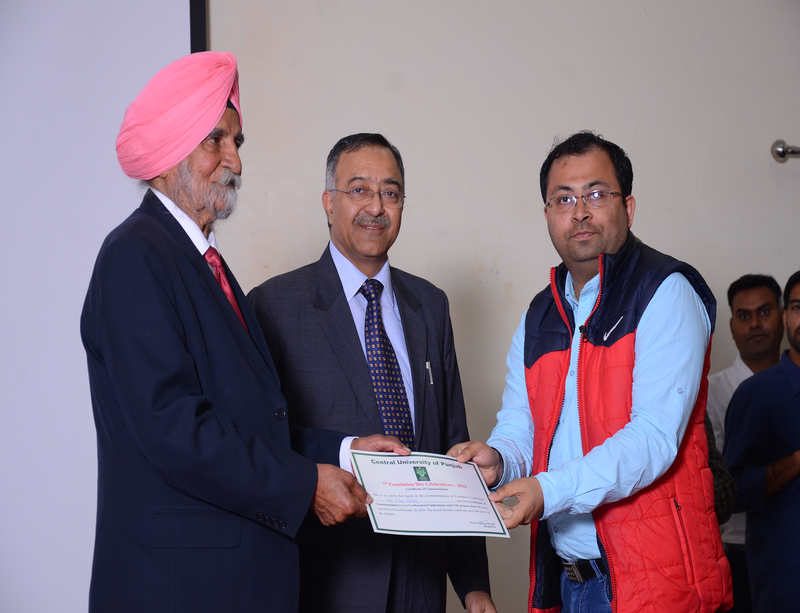 National Seminar on Chemistry for Better Tomorrow: Current Trends and Challenges, Postgraduate Department of Chemistry, Mata Gujri College Shri Fatehgarh Sahib, Punjab, March 8, 2014 (First Prize). Kumar, V., Dwivedi, A, R., Kaur, R, and Singh, S. (2014). Ionic Liquid Mediated Regioselective Synthesis of Alkylimidazoles under Microwave Conditions and Their Antimicrobial Potential. National Seminar on Chemistry for Better Tomorrow: Current Trends and Challenges, Postgraduate Department of Chemistry, Mata Gujri College Shri Fatehgarh Sahib, Punjab, India, March 8, 2014. Kumar, V., Mania, S. and Dwivedi, A, R. (2013). Synthesis of Some Piperazine Containing Scaffolds as Potential MAO Inhibitors. 50th Annual Convention of Chemists, Department of Chemistry and Centre for Advanced Studies in Chemistry, Panjab University, Chandigarh, December 04-07, 2013. Jaitak, V., Insan, M. B. and Sharma, A. (2013). Multi-targeted Breast Cancer Chemotherapy: Answer to Existing Problems. 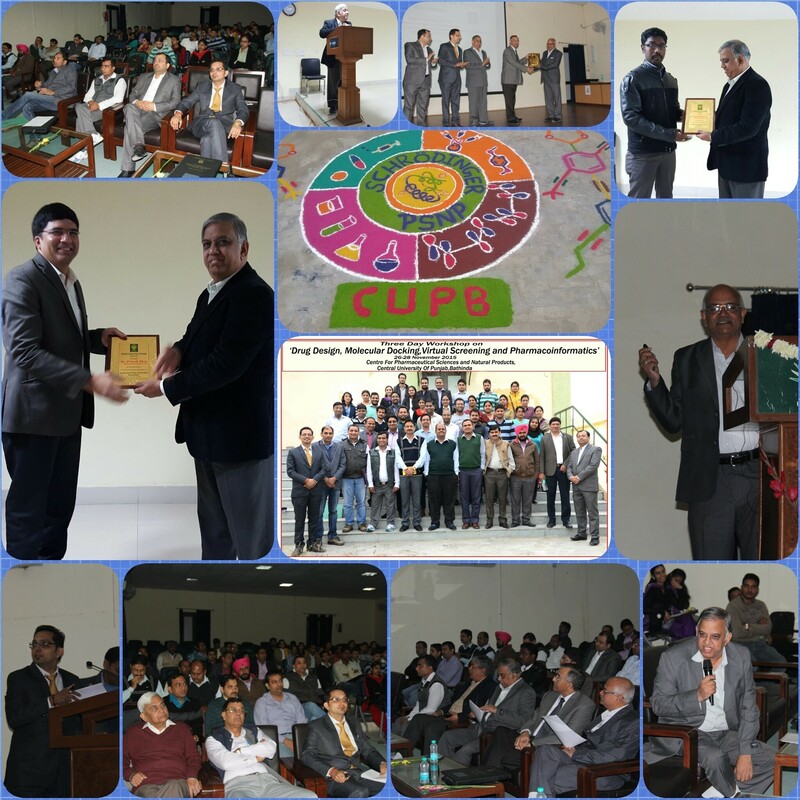 50th Annual Convention of Chemists, Department of Chemistry and Centre for Advanced Studies in Chemistry, Panjab University, Chandigarh, December 04-07, 2013. Last modified: February 04 2019 10:49:56.